More than 900,000 m2 of geotextiles were supplied by Italy’s Manifattura Fontana during the expansion of the Panama Canal. While not generally a field characterized by frequent innovation, a potentially disruptive new technology is being introduced to the North American geotextiles market by Greer, South Carolina-based Haydale Technologies. Haydale is an advanced materials group with a focus on the integration of nanomaterials into next-generation commercial technologies and industrial materials, with six facilities in the USA, Europe and the Far East. Its proprietary inks, coatings, graphene-enhanced resins, composites and filaments, and silicon carbide whiskers and fibers are part of a growing portfolio of advanced materials, which are helping to fuel additive manufacturing and three-dimensional printing; the company has pioneered the functionalization of graphene across a range of key industry segments worldwide. Haydale has recently signed an agreement with Imagine Intelligent Materials, based in Rosebery, New South Wales, Australia, in respect of the latter’s imgne X3 process for the conductive graphene coating of geotextiles, which offers leak detection capabilities in applications such as coal-seam gas mining. Here, the new sensor-enabled products will allow operators to reduce the risk of leakage of toxic leachate from such sites into groundwater and aquifers. Imgne X3 has already been field-tested in Australia by Geofabrics Australasia of Melbourne, Victoria, a manufacturer of Bidim-brand geotextiles. Now, Haydale has issued a purchase order for a number of imgne X3s that will be sufficient to enable 50,000 m2 of conductive geotextiles to be manufactured. This will ensure there is available supply in the USA ahead of the commissioning of a full-scale plant at Haydale’s manufacturing facility in Greer. Geosynthetics generally continue to thrive at the expense of more traditional building materials, offering cost advantages over soils, aggregates and concrete, while being typically less costly to transport and also easier to install, resulting in reduced time and labor costs over the duration of a construction project. They can provide such functions as materials separation, filtration, drainage, soil reinforcement, erosion control, sealing, stress relief, adhesive bonding, confinement and now monitoring. 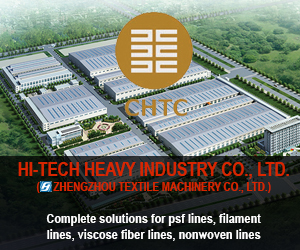 The current geosynthetics range of products includes both nonwovens and woven geotextiles, as well as geo-cells, geofoams, geogrids, geo-nets, geomembranes and a number of other specialized materials for specific functions. 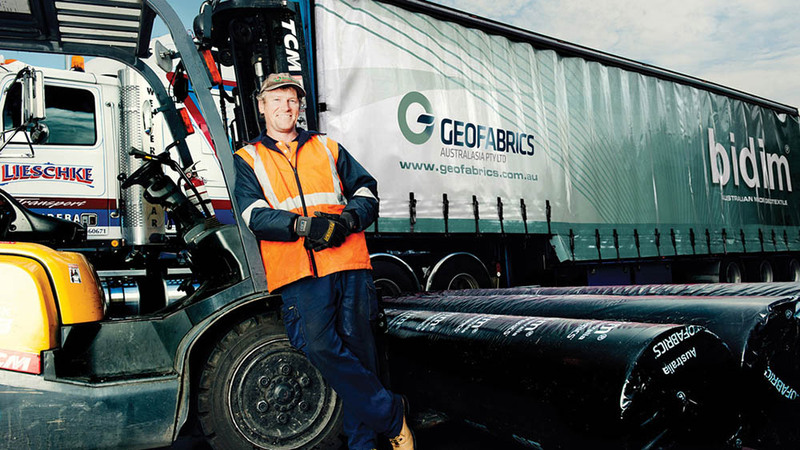 Geofabrics Australasia has field-tested its graphene-coated Bidim geotextiles for leak detection at coal-seam gas mining sites in Australia. 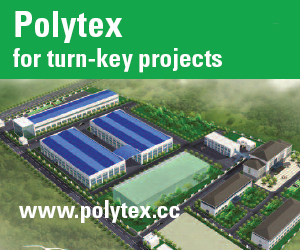 The leading manufacturers of geosynthetics are increasingly providing them in multilayer combinations to solve specific application requirements. “It’s about using the right materials for the right application,” said Andrew Leech, head of technology and development, at UK specialist GEOfabrics. “The use of woven textiles can be perfectly appropriate for soil reinforcement where high strength and modulus is required. 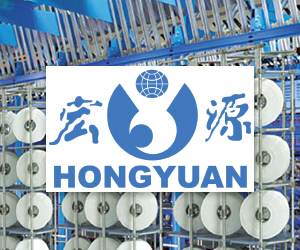 The use of nonwovens is generally favored in most applications, however, where their high elongation and isotropic tensile strength provides improved durability. In recognizing the move to multilayered products, Dilo has recently introduced its HyperTex system for geotextiles and other key application fields. “When needled nonwovens with high low-load resistance are required to achieve the required stress-strain behavior, this is generally achieved by using reinforcing meshes, grids or pre-fixed yarn scrims,” Hemmer explained. “This sandwich structure results in final materials that show little resilience and elongation and the tearing of the nonwoven by vibration or high loads within the mechanical stress limits is consequently prevented. 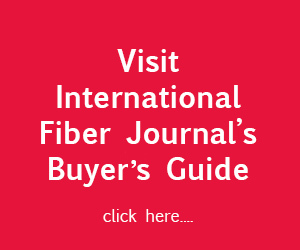 HyperTex produces multilayer felts made from a base web, a reinforcing material and an upper web, employing the scrim fabric machine of Ontec Automation, which brings a scrim of yarn or filaments in-line and unconsolidated between the two webs. The needlefelts can be pre-needled off-line and the scrim is fed between the two unwinding stations; they are then needled together. “A great advantage of this method is the very high production speed for the complete process, with scrim formation and subsequent needling carried out at speeds of up to 40 m/min,” Hemmer said. Dilo’s HyperTex produces multilayer felts by integrating the scrim fabric technology of Ontec Automation. Another leading European technology supplier, Andritz, headquartered in Graz, Austria, has just announced the sale of a complete geotextile needlepunch line to Manifattura Fontana based in Valstagna, Italy, part of the Belgium-headquartered technical textiles group Sioen Industries. 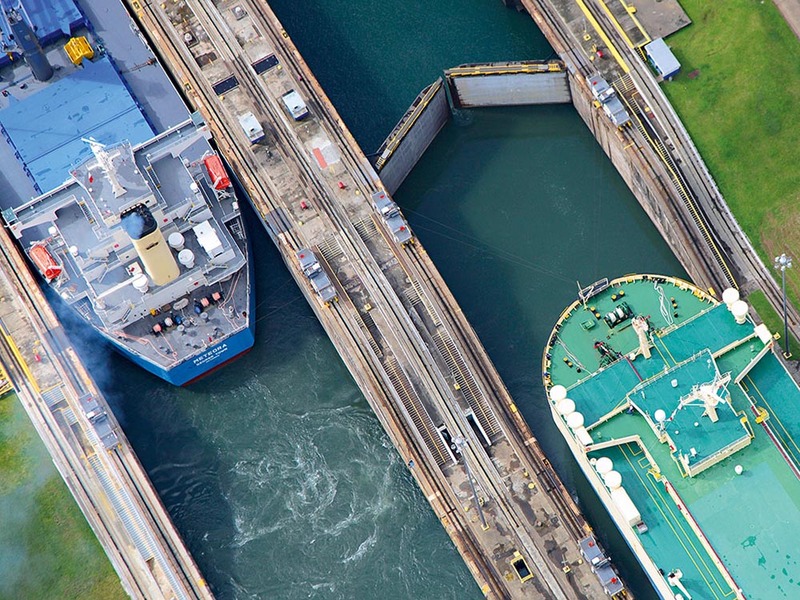 Among notable projects, Manifattura Fontana has recently been involved in work on the expansion of the 77 km Panama Canal. As part of the project, a new set of locks was installed to double the waterway’s capacity by increasing the canal’s width to support modern container ships. As a component of the new locks, a total of 18 water-saving basins – nine on the Atlantic side and nine on the Pacific side – were constructed. These were lined with a combination of polyvinyl chloride waterproofing membrane and nonwoven geotextiles, heat bonded together to create geo-composites. For areas where the waterproofing liner was subsequently covered with ballast, a heavy-duty nonwoven was employed to serve as both an anti-puncture layer and to increase the tensile strength of the liner. In other areas a lighter weight geotextile could be used with the liners. In total 800,000 m2 of the lightweight geotextile and more than 100,000 m2 of the heavy-duty geotextile were supplied by Manifattura Fontana in the project. Manifattura Fontana’s new Andritz line is highly integrated, from the opening and blending to the automatic packaging system. 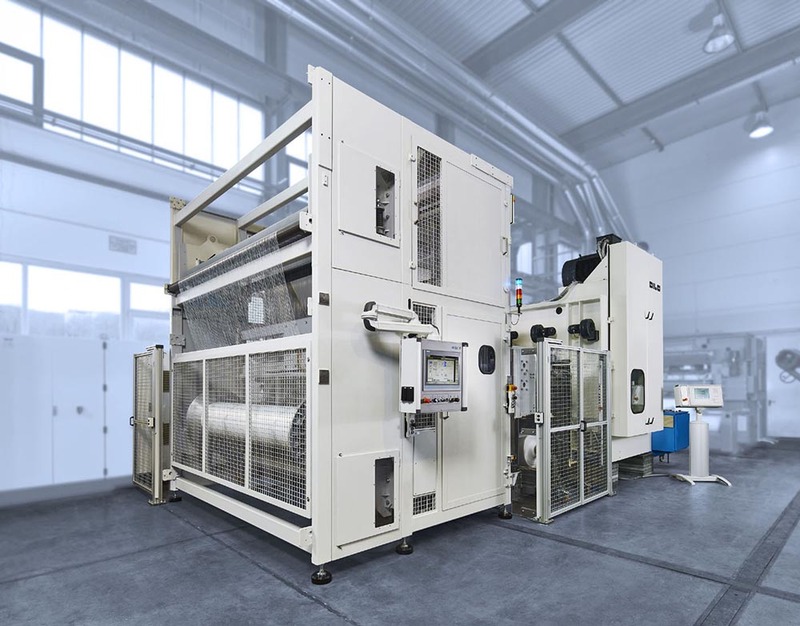 It incorporates all the latest Andritz equipment for geotextile production, including a TCF-X high-capacity chute feed capable of processing long-staple fibers and a 3.5-metre-wide Xcelle card. 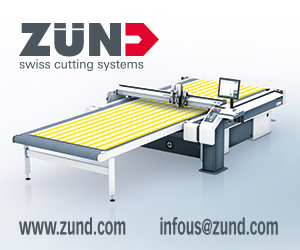 It is also equipped with ProDyn and Isolayer systems for weight evenness before the high-speed needle-looms, which have Zeta drafters for fine-tuning tensile strength parameters. 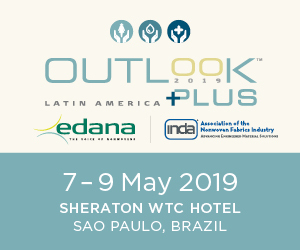 For the first time in Italy it will also feature air-through bonding capabilities in combination with calendaring, and once fully operational will be the most productive line in Europe to date. The new Andritz geotextiles line for Manifattura Fontana. As far as fibers are concerned, polypropylene (PP) continues to dominate in the geotextiles sector. “PP fibers have a high resistance to acids, alkalis and most solvents while also being inert to both acid and alkali attack,” said Leech. 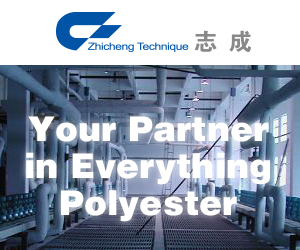 “Polyethylene terephthalate (polyester) can offer good mechanical properties and is suitable for some applications, but the ester group can be hydrolyzed in the presence of water, which is accelerated by alkaline conditions.